Lack of interest, lack of money and lack of support can all contribute to a major party failing to put a candidate up for election in a given race — especially in heavily gerrymandered districts. Today’s Texplainer question was inspired by reader Lucy Wiley. 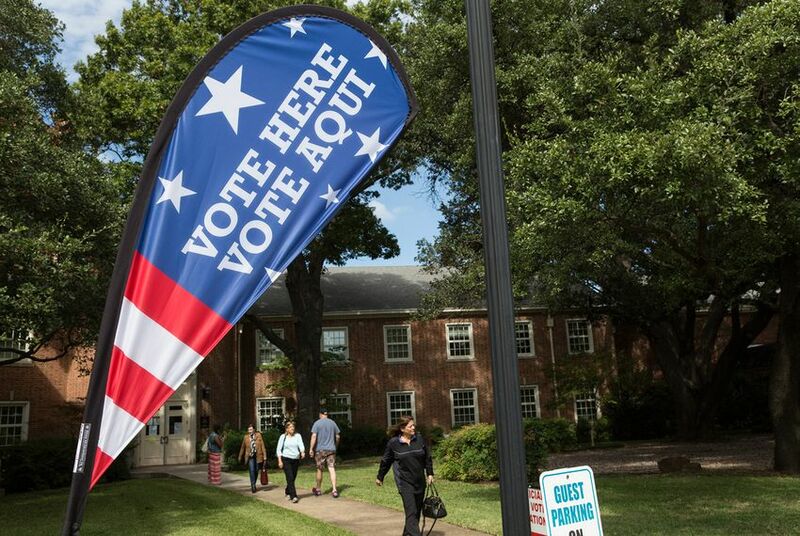 Hey, Texplainer: Why do so many Texas races go uncontested by major parties? Can you provide examples and elaborate on where and why this happens? Texas primaries are extremely competitive this year, with one Republican primary drawing a staggering 18 candidates. But 64 candidates who win their primaries will face no major-party opposition in the general election. Of those 64 primary winners, 19 will be Republicans and 45 will be Democrats. The incumbent is so popular that no one else can find a path to victory. The district is so tilted in favor of the other party that nobody in the opposing party can find a path to victory. The incumbent's campaign has so much money that nobody can figure out how to overcome their ability to communicate with voters. Gerrymandering — when lawmakers draw political maps to advantage one party — is the most common reason why incumbents go unchallenged by the other party, Cook said. “If Republicans have been winning elections in that district 70 to 30, what are the odds that the other party is gonna make a dent in that?” he said. That's not to say it doesn't happen. When state Rep. Donna Howard, D-Austin, first ran for her seat in House District 48 in 2006, it was drawn to heavily favor Republicans, she said. “When you have a district that has been drawn to be a significant majority for one party or another, it’s absolutely more difficult to mount a campaign that will have a different outcome than what the redistricting was meant to ensure,” Howard said. Nevertheless, she won the seat in a special election, and since then the district boundaries have been redrawn. The fact that she won in 2006 shows that winning a low-odds race is not impossible with the right candidate. But it all comes down to money. Even if would-be challengers think they have a chance in a general election, the lack of support from big contributors can be enough to prevent a candidate from filing, Cook said. The bottom line: Lack of interest, lack of money and lack of support can all contribute to a major party failing to put a candidate up for election in a given race — especially in heavily gerrymandered districts. We asked 40 Texas Republican candidates about Trump. They like him. The tweets? Not so much.